Ideally, a research assistant in our lab would: (1) be excited about cognitive science and perception; (2) have some basic familiarity with research methods in psychology; and (3) be comfortable working with computers (including spreadsheets, graphics programs, etc. ); some familiarity with computer programming (using, e.g., Matlab or Python) would be great as well, but this is not required (in part because it is easier to learn than you might think!). 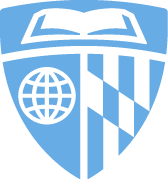 What is your class year and major (if you have one) here at Hopkins? Why are you interested in getting research experience? What interests you most about psychology & perception? Broadly speaking, what would you like to study here in the lab? To answer this question, you could share a thought about one of our recent papers, or even propose a new study (whether based off a paper you read, or just out of the blue!). Do you have any experience with computer programming? If not, are you willing and eager to learn? Note that we are interested in having all sorts of students with different skills / backgrounds / experience. Even (or especially!) if you're a first year student with no experience in a lab, we want to hear from you!